In many Brazilian Jiu-Jitsu (BJJ) schools, students occasionally get whipped by belts. This is typically done as a right of passage during a belt promotion, birthday, or some type of celebration. Students line up with their BJJ belts in hand and whip the person who must run the gauntlet. Today I want to bring this dark topic to light. BJJ brings many positive-life changing benefits to the people that train, none of these benefits are a product of belt whipping. Belt whipping is a form of hazing (illegal in 44 US states). It is seen as a way to prove yourself to be part of a tough group. 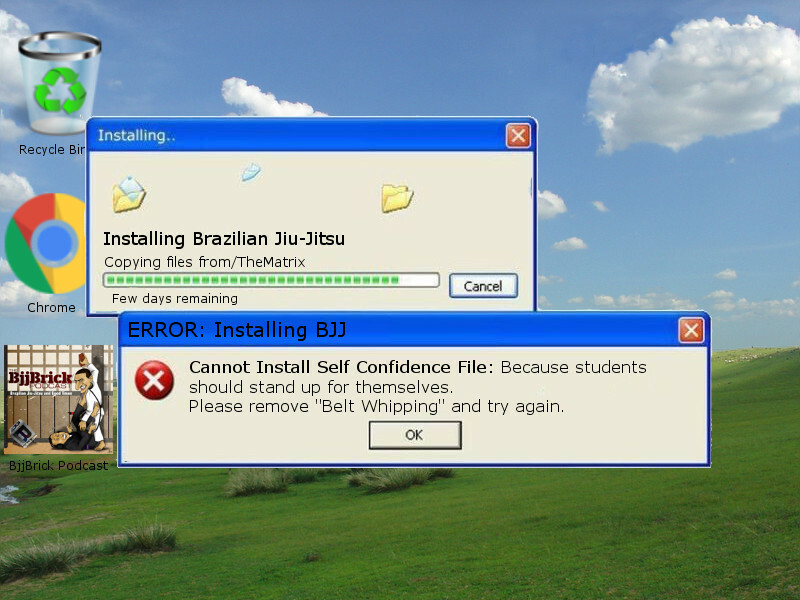 Many kids and adults are in BJJ programs to learn how to not be the victim of a bully, and build confidence. They may find themselves in a room full of bullies with belts peer pressuring them to do something that they would rather not do. One of two things usually happens in this situation. The student realizes that this is an unhealthy environment and they leave the school. Or the student fails to stand up for themselves and they give in to the peer pressure. It takes a person of extraordinary confidence to look at the gauntlet and tell the group “No, I am not doing this. I am not going to be whipped, and I am not going to whip anyone else. I am here to learn BJJ; I am not here to take part in hazing.” It takes more courage to stand up to the group and say no to the gauntlet than it does to get whipped by belts. Some proponents of belt whipping argue that this sport is for people that are tough and can take a beating. I argue that BJJ will make a person tough, after all it is a rough experience being on the mat. BJJ is designed for the smaller, weaker person, not the guy who walks in the door already a tough guy. Instead of building the weaker person up, the sight of this hazing is likely to chase them away. Another argument is that the gauntlet is a tradition in BJJ (dating back to the mid 90’s if that counts as tradition). Tradition is important in martial arts, many traditions have a rich history, the gauntlet does not have a rich history. Much like picking fights on the beach this tradition is best left in the past as BJJ is spread around the world. Let’s address the legal issue with a little more depth. It does not matter to the law whether the student gives implied consent. Their consent to the hazing is not a defense that a social club can use, it is still illegal. 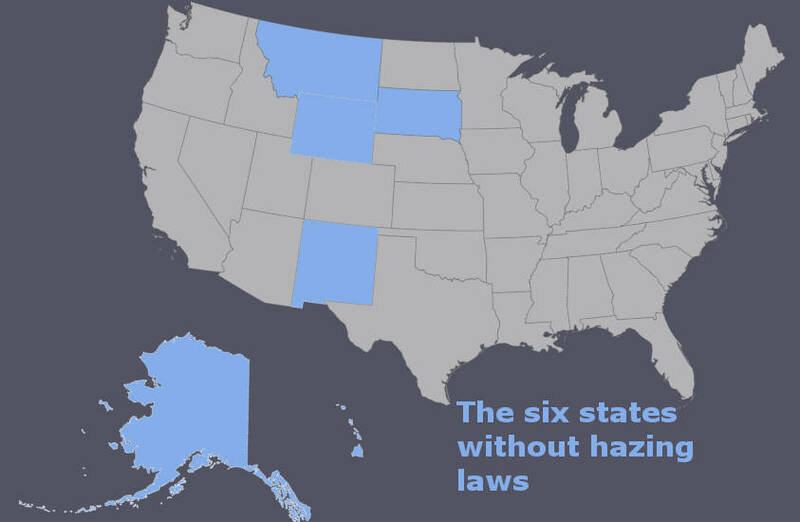 If a student is not physically harmed it will typically be a misdemeanor, but if there is an injury the crime of hazing is a felony in many US states. Whipping marks left by a belt could be considered an injury. Gym owners and coaches should heed this warning. By writing this article I am not trying to get anyone in trouble with the law, I just want to see successful gyms with good business practices. Ask yourself what successful business would post illegal activities on social media? It is time to leave this tradition of hazing in the past. The gauntlet is not helping to build stronger or better students, BJJ does that in spite of the gauntlet. Things like rolling, or a throw are not hazing – they are part of doing BJJ. If your school is participating in hazing its students I recommend sharing this article with your instructor and respectfully sitting out of the process. I am confident that most instructors are simply unaware that they are breaking the law. Help them out by letting them know.